Dr. Saovra “Sy” Ear is now the interim President of Highline College. 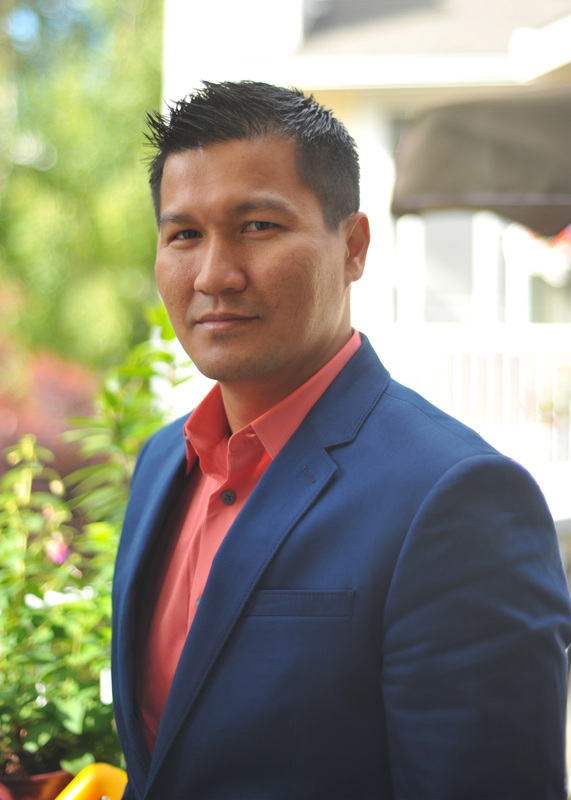 A Cambodian refugee whose American college experience shaped his life and career has been named interim vice president at Highline College. Dr. Saovra “Sy” Ear will oversee the college’s Student Services division beginning Nov. 26. “The experience of my family as refugees instilled the value of education as a way to move into the middle class,” said Ear, who grew up in a low-income household of seven. But the college experience itself was a challenge, especially for someone whose parents didn’t attend college and couldn’t offer advice. College life can be complex. His struggles stuck with him, leading him to a career helping all students succeed in college. “My experience as a student and professional shaped who I am today as an educational leader,” he said. In leading the Student Services division, Ear will oversee a variety of services and programs to promote student access, retention and completion. Highline President John Mosby highlighted Ear’s passion and commitment to the community college mission of transforming lives and communities. “He values inclusive excellence and collaboration in his efforts to create opportunities for all students to succeed,” Mosby said in a message to Highline’s campus community. Mosby noted that Ear has developed and implemented effective organizational processes and innovative programs during nearly two decades serving students in Washington’s community colleges. His efforts have increased student enrollment and completion while advancing equity and social justice. “I am a strong believer in the mission of community colleges to increase and promote equitable student success,” Ear said. Ear traces his passion for equity and social justice from his lived experience as a refugee, first-generation student and student of color. His journey to the United States began when he was 2 years old, when he and his family left Cambodia. They spent three years in a refugee camp in Thailand before arriving in the U.S. when he was 5. After a stint on the East Coast, the family settled in South King County, where they’ve spent the past 31 years. A 15-year resident of Kent, Ear believes his connection to the South King County community will be an advantage in his new role. At Highline, he looks forward to serving the college’s diverse student population where more than 70 percent are students of color, making it the most diverse higher education institution in the state. Currently, he oversees the Enrollment and Entry Services areas at Edmonds Community College. He also served as interim vice president for Edmonds’ Student Services division. In addition to his work at Edmonds, Ear spent time at Green River College and at South Seattle College in a number of areas, including advising, ELL transition services and financial aid. He earned his doctorate in educational leadership from the University of Washington Tacoma and his master’s degree in student development administration from Seattle University. Ear’s interim appointment will end Dec. 31, 2019. In the spring of 2019, the college will begin the search for a permanent replacement for Toni Castro, who left the position in September 2018.